According to Wikipedia, a siren “In Greek mythology, the Sirens (Greek singular: Σειρήν Seirēn; Greek plural: Σειρῆνες Seirēnes) were dangerous yet beautiful creatures, who lured nearby sailors with their enchanting music and voices to shipwreck on the rocky coast of their island”. The main character, or heroine is awakened to a new sense of being with powers that she must learn to control. After an unfortunate turn of events, she discovers she is a siren;that her mother was a siren and her father is a warlock. Due to her mixed breeding, there are two sides of a war that are after her. She is unique to her kind, a variable and highly unpredictable and the one responsible for guiding her through this journey is the ever present, ever watchful, super attractive Malachai. Malachi is what one would consider a “merman” and his family (for undisclosed reasons) were given the duty of watching over her until the time came when she would discover who and what she is. His family are sworn to protect her and as the story unfolds, she will definitely need his help. There is a particular twist in the novel, which involves Malachi’s older, wiser, and confident brother Demetrius, and I suppose that there will be a lot more of him in the pending sequel. Now, there is a lot to be desired throughout the course of the book. I wanted more from Syrinada. I wanted to eat what she ate, hear what she heard, see what she saw, and feel what she felt. I wanted more strength. I wanted more conflict between her desires, her thoughts and her pain. I wanted to feel every ounce of betrayal, every nuance of gradual acceptance into the world that was thrust upon her. However, aside from that there are elements from the book that I am more than happy to explore and one of the elements being female sexuality. Upon her awakening, not only are her senses heightened, and she possesses supernatural abilities that I predict will aid her in her continued quest into self discovery, she blossoms from a shy, almost demure girl into a woman with needs-no, scratch that, demands. Throughout the ages, women have been trained to believe that embracing their own sexual thirsts and quenching them would render them as “used”, “unwanted”, “dirty”, and a plethora of other negative labels that women are still being plagued with today. Syrinada embraces her newfound “awakening”, and although she does experience some feelings of shame, she quickly understands and accepts that being “sexual” is a part of who and what she is. She demands to be pleasured and the men she commands all too happily oblige. I can appreciate the fact that this book is a straight no chaser type of read. I am not one for the slow building of a scene. I can appreciate detail to some degree but not to the point where I am bored out of my mind. The thing that I liked most about the story is the fact that it is original and with each chapter I am motivated by the sheer fact that the plot is interesting. I kept asking myself, “Well damn what the hell is going to happen next?” and before I knew it, I was finishing the last few pages of the book. 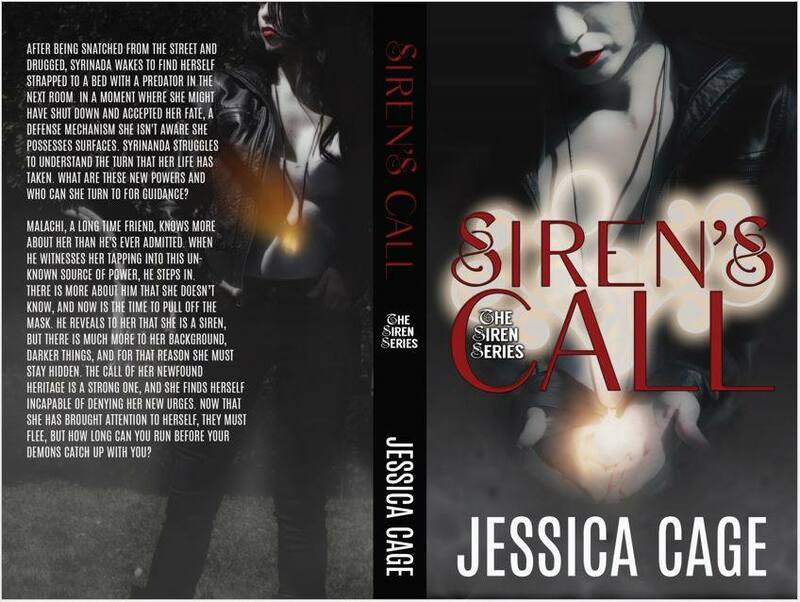 In conclusion, I can see Siren’s Call in development for a CW production. I like the concept. I like the authenticity of it. Now granted, I can be a bit of a hard nut to crack when reading a new book. I have a very short list of favorite authors and that is because I have been spoiled beyond repair by the likes of L.A. Banks, J.R. Ward, and Karen Marie Moning. But I will say that I will be purchasing book two of the Siren Series to see where Syrinada will end up and which brother will she choose. I will also suggest if witches and mermaids tickle your fancy, well this is the book for you. Remember to support indie authors. And for all of you writers out there both published and unpublished, let us support each other in good will and never forget that there is room on a book shelf for more than one book.